To get low-cost microscopes in front of as many kids as possible, I've been running microscope-building workshops for elementary school teachers. We've built a lot of microscopes—so far, most of them for elementary schools in North Carolina. The microscopes: I use ﻿Kenji Yoshino﻿'s clever design, which he described in an Instructable entitled "$10 Smartphone to digital microscope conversion." This design takes advantage of ubiquitous smartphone cameras. Based on feedback from teachers, I've enlarged the design for iPads and other tablets. We've also added springs to stabilize the stage and non-slip pads to the bottom. What’s special about these microscopes: Kids can interact around each microscope — a big improvement over the microscopes I remember in which only I would know that I could only see my own eyelashes! The microscopes are transparent, making their inner workings obvious to teachers and kids. And the parts are readily available, so teachers or kids can make more microscopes anytime. 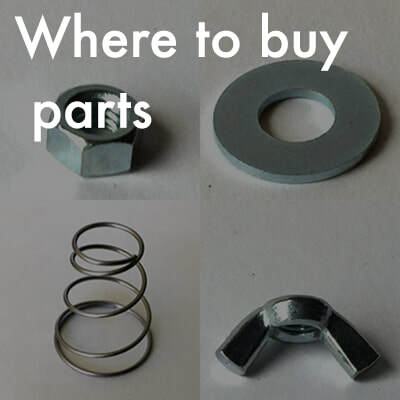 Everything is available in hardware stores except the light and the lens, which can be ordered online. The workshops. Three things happen at the workshops: (1) each teacher assembles a microscope for their class or their school to keep, (2) they get used to using the microscopes as they take pictures of things they brought with them, and they email these pictures directly into a permanent online image gallery that we project to everyone in the room, and (3) they brainstorm about how they’ll use the microscopes with children to best match kids' interests and teachers’ curriculum needs. What’s here. 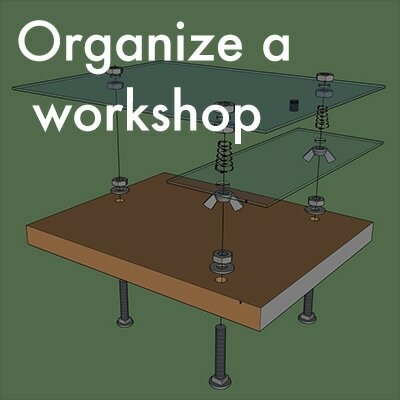 The square buttons below link to helpful tips for people who are considering building a microscope, using them with students, or organizing similar workshops. I'll keep updating the info as new ideas, sources for parts, etc arise. If you have suggestions for how to improve these pages, please do let me know! I'm keen to make them useful to others.